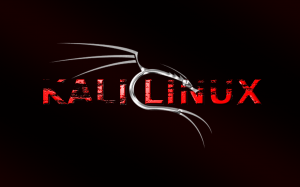 What is Kali Linux and why do I want it on my Chromebook! 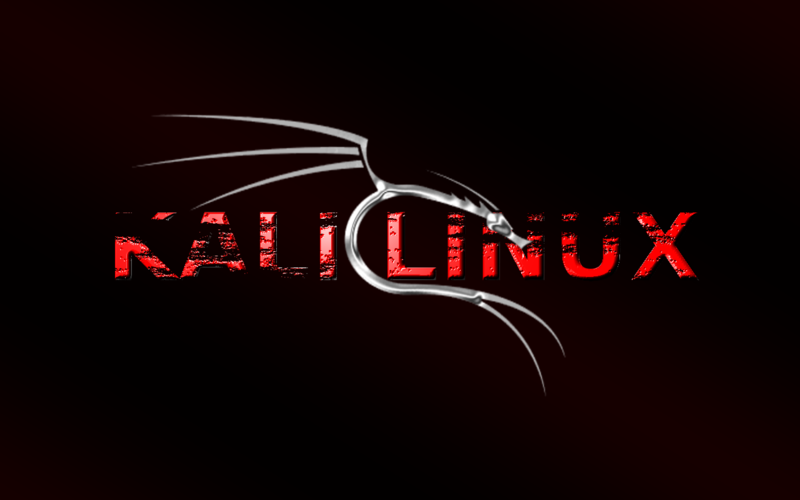 Kali is a Linux distribution that is widely accepted as the Linux distribution for penetration testers, security experts and hackers. It is the successor to Backtrack Linux. Kali allows the user to install packages such as aircrack-ng and reaver to collect data on and hack into wireless networks. How Do I Install Kali Linux on a Chromebook? To install Kali on a Chromebook with crouton, the Chromebook must be in developer mode. please reference the following page to learn how to enter developer mode. Once in developer mode you need to download a special forked version of crouton. Kali has not yet been pulled into the master crouton project on github. UPDATE: Kali has been added into the main crouton tree. You can download it here crouton. -r is the release. We need to set this to Kali. If the -r switch is not passed Ubuntu will be installed. -t is the target command that specifies what GUI interface you want installed by default. Gnome is the default unity for kali however it does not work on my HP Chromebook 14″. KDE works and is a good alternative to Gnome. -n is the name parameter. We define the -n switch here so we can give the chroot a custom name of kali. The process will run and install kali on the system. How Do I Run Kali Linux on a Chromebook? Once the install is complete from the shell type sudo startkde. this will start the Kali instance. if the machine is rebooted you will have to enter shell and type sudo startkde again. it is possible to install multiple chroots. However, Kali is NOT a predecessor to Backtrack, it is the SUCCESSOR to Backtrack. Thanks, I have corrected the article. the scripts errors out on me. I found out that the original crouton now supports kali and its installing on my arm chromebook. So, I followed the instructions here, and after the installation completed, the terminal wouldn’t accept the “sudo startkali” command, and instead told me that I had to use “sudo startkde” instead. The result was a pretty dramatically different interface than what I’ve seen for Kali and the logo/tools that come with the distro are nowhere to be found. Anybody know what happened? I believe by default Kali installs with GNOME . I couldn’t get GNOME to work with the HP Chromebook ( I Didn’t really spend allot of time on this issue). As a quick resolution I opted for KDE instead. This is probably why you see the dramatic difference with the GUI. I also Noticed that not all of the Pen testing tools were available after install. I haven’t re-visited this issue but I know that the Kali fork of the crouton script was pulled into the master Crouton stream not to long ago. Im not sure if this will solve your problem bu here is the link to the master crouton script https://github.com/dnschneid/crouton (no guarantees ) . On the “sudo startkali” issue. This is my mistake (I misunderstood the usage of the -n switch) and I will correct the post. Groovy. Thanks for the information!! WARNING: Signed boot verification is disabled; enabling it for security. The release in the post has been pulled into the main fork. I would suggest downloading the main Crouton script and try again. I updated my post to the correct download page. When I enter “sh ~/Downloads/crouton -r kali -t kde -n kali” it says “crouton must be run as root”. Any ideas? If I install multiple chroots how does switching around work? Has anyone tried to install multiple chroots? starting them works the same, You can start multiples. If multiple are running You use the CTRL + => to enter the first chroot(Unity) and CTRL + [REFRESH] for the second chroot(Kali). If you start a third chroot, I believe you would use CTRL + [FULL SCREEN]. I have not had more than two running at the same time. that should work, it worked for me at least, I have kde, and unity running right now. By default all of the tools are not installed. I am not sure if this is by design or a bug. You can find the tools in the software repos. What is the password to gain root access once this is running??? crouton must be run as root. so after i do all this how can i get to install aircrack-ng and reaver ?? I followed the instructions but when I try to run aircrack or its functions it says that they are not installed. What am I doing wrong? I believe the crouton script installs the kali minimum distro. The Chromebook was formated instant before setup. Has somebody an Idea what I could do? I just had to reinstall the Chromebook with an old (so also smaller) Factory Image i had on an SD-Card. How can I uninstall kali after installed? If the version of Kali installed using Crouton has no control over the wireless card I connect via a usb (Alfa AWUS036NHA) what use is it? Even the command iwconfig does not work (I get a response “command not found”) in the version I have installed following your instructions. I was hoping to use this as a way to experiment with pentesting but I am unable to do anything. I’m running ubuntu with crouton and iwconfig doesn’t work for me either, but sudo /sbin/ifconfig just did. What does this mean? What’s the difference? If I’d like to do other things with my wifi (like find the channels that all the other networks are running on) what kinds of equivalent commands can I use, since sudo iwlist wlan0 scan | grep \(Channel does not work for me. Thanks. I’d love to learn this a little better. iptables REDIRECT chain is not compiled in the kernel. running “iptables -t filter -L” lists a few chains, but not the REDIRECT which is needed for redirecting traffic in MitM attacks. How do i go about enabling this chain? chronos@localhost / $ /usr/local/chroots/kali already has stuff in it! chronos@localhost / $ Either delete it, specify a different name (-n), or specify -u to update it. Every time I try to install a chroot for kali I get this error when I try to start it, does anyone have any idea what is going on or how i can fix it. This will fix it, follow the steps. But its was never set so I can’t enter anything in the current field, any help? What is the size of kali lunax ? I got Kali loaded and working and started playing with the tools, but it doesn’t appear that wireshark has access to any interfaces on my Chromebook. Is this something I need to change in permissions? Any suggestions? how would i do this on the sd card? i only have 4 gb left after the install and i want to install debian wheezy on the sd? How to update Kali on the chromebook ? Leo, have you installed crouton integration? It just started normal KDE!!!!!!!!! i wanted kali linux.. WARNING: kali is an unsupported release. You will likely run into issues, but things may work with some effort. Press Ctrl-C to abort; installation will continue in 5 seconds. It looks like Kali.org either changed its release structure or the crouton file changed to an incorrect structure. Try re-downloading and trying again. If it does not work try submitting a bug report to the github repository. im trying to install kali on my HP Chromebook, but i get the following message, do I need a specific crouton file? WARNING: USB booting is enabled; consider disabling it. WARNING: Legacy booting is enabled; consider disabling it. WARNING: Signed boot verification is disabled; consider enabling it.